The National Observatory of Athens (NOA; Greek: Εθνικό Αστεροσκοπείο Αθηνών) is a research institute in Athens, Greece. Founded in 1842, it is the oldest research foundation in Greece, as it was the first scientific research institute built after Greece became independent in 1829, and one of the oldest research institutes in Southern Europe. Around 1840, the national benefactor, Baron Georgios Sinas, ambassador in Vienna, expressed his intention to make a donation for science development in Greece. He took advice from his friend, the Austrian ambassador in Athens Prokesch-Osten, who knew the Greek-Austrian physicist and astronomer Georg Constantin Bouris. Bouris became the first director of Athens Observatory, and was also involved in the construction of its first building. The first building, known as Sinas building, was based on a project presented by Eduard Schaubert and designed by the Danish architect Theophil Hansen, it was the first building of the later famous Hansen. The cross-like neoclassic building has its sides oriented toward the four directions of the horizon. There is a small dome for a telescope in the center of the construction. The building was completed in 1846. The Observatory of Athens foundation ceremony on 26 June 1842, the day of a Solar Eclipse, is a magnificent official event. Present were the King of Greece Otto, members of the Government and of the Greek Church. A large crowd of people fills up the vicinity of the place selected for the Observatory, a location on the hill of Nymphs at Thiseio, facing the Acropolis. Following the panegyric speech by professor Bouris, the foundation stone is set under music sounds and cannonade by a Danish frigate anchored at the port of Piraeus. In 1855 Bouris became ill and moved back to retire in Vienna, where he died on 2 January 1860. Prof. Ioannis G. Papadakis, full Professor of Mathematics, since 17 August 1854, at the University of Athens was chosen as an interim Director. In December 1858 the nomination for the new permanent director took place, on December 4 Johann Friedrich Julius Schmidt was nominated, and on 16 December Julius Schmidt became the new director of Athens Observatory. Utilizing the Sina's family donation, Johann Friedrich Julius Schmidt took care of the instruments' repairing and maintenance. Soon he started to observe the Sun, Moon, planets, comets and variable stars. He enriched the Observatory's library with many scientific books and journals. Some of them were donated by other European observatories. Schmidt also started the editing of Publications of the Observatory of Athens. During the 25 years of his work in the Athens Observatory, he performed more than 70,000 observations of variable stars and discovered few periodic variables and two Novae stars. Most of the results were published in the journal Astronomische Nachrichten. For many years, J. Schmidt studied the planets Mars and Jupiter and drew the changes on their surfaces. He observed the bright comet of the 1860 and two years later discovered a periodic comet. The clear sky allowed him to make thousands observations of meteors. He also had the opportunity to observe a number of Solar eclipses and many eclipses of Moon. The Topographical Chart of the Moon (Chaptre der Gebirge des Mondes) published in Berlin, is perhaps his most brilliant work. In an area of two meters diameter, consisting of 25 parts and representing the visible surface of the Moon, there are drawn about 30,000 craters as observed with the 158 mm Ploessl telescope. Significant is also his study of the crater Linne showing apparent morphological changes. Julius Schmidt reorganized the meteorological service of the Observatory of Athens. He performed meteorological observations in many places in Greece and regularly sent data to the Observatory of Paris. These results are presented in his work "Beiträge zur physikalischen Geographie von Griechenland" (1864). Very significant was his interest in the field of seismology. With the help of volunteers, he recorded more than 3,000 earthquakes and published his "Studien über Erdbeben" (1975). So well, few years he observed the Santorini volcano, since the eruption in 1866, and published the study of this and of three other volcanos (Etna, Vesuvius, Stromboli) in 1874. Julius Schmidt made some journeys with the aim of geographical studies and performed archeological investigations to discover the ancient Troy. Demetrios Kokkidis undertook the Direction of the Observatory of Athens in 1884. Because of the financial situation of the Observatory (the funds of the Sinas family donation were already exhausted), Demetrios Kokkidis had very limited possibilities for administrative and scientific activity. He continued regular meridian circle observations for the purpose of time service and observed solar spots. 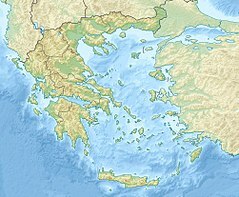 He succeeded in expanding the meteorological stations network to few places far from Athens. With a special law of the Greek Parliament on June 19, 1890, the Athens Observatory became a governmental research center and its name was changed to National Observatory of Athens. With this law, Demetrios Eginitis was appointed Director of the NOA. In addition to the Astronomical Institute, two others were created, the Meteorological and the Seismological Institutes. Eginitis' very first care was to find funds and donations. He got a credit from the University and performed a restoration of the observatory building and of its old instruments. Because of the economic situation in Greece, the governmental aid was very limited. Eginitis organized a national committee that in a few years succeeded in collecting a considerable sum from fellow Greeks. Among the generous donators were D. Doridis, A. Syggros, M. Korgialenios, P. Stefanovik, E. Zarifis, K. Mavromichalis, A. Skouzes, and N. Chrysovelonis. With the collected funds, the Thiseio site of the Observatory was expanded, a neighboring area was bought and three new buildings were erected. New instruments were ordered and installed at NOA, a 16 cm meridian circle and a 40 cm refractor. Another telescope, a 20 cm reflector was donated by K. Ionidis. Eginitis reorganized the meteorological net, adding about a hundred new stations and creating a seismological service. He also organized the edition of the "Annales de l'Observatoire National d’Athènes". Eginitis played a significant role in the political and academic life in Greece. He was Minister of Education in 1917 and in 1926, and was the founder of the Academy of Athens in 1926. His contribution in accepting the World Time Zone system and the Gregorian Style Calendar in Greece was also substantial. Stavros Plakidis worked at the Observatory since 1915. In 1927 S. Plakidis was promoted to assistant astronomer and in 1928, with the recommendation of Professor Eginitis, he continued his studies for two years in Greenwich, Cambridge, Paris, Strasbourg, and Heidelberg. In 1931 he was proclaimed Doctor of Mathematics and was nominated regular astronomer of NOA. In 1935 Stavros Plakidis was elected Professor in the University of Athens and at the same time was nominated Supervisor of the Astronomical Department of NOA. In two years the NOA changed two Directors, firstly professor Nikolaos Kritikos was nominated, then Elias Mariolopoulos[permanent dead link]. In 1937, Director of NOA Georgios Chors was nominated. Professor Plakidis was already a well-known astronomer and continued his work in the field of observational astrophysics. He published many papers in famous astronomical journals. Well known is his work on long-period variable stars in collaboration with professor Sir Arthur Eddington, which was published[permanent dead link] in 1929. Stavros Plakidis made many efforts to move the observations far from the city center. In 1936 the beginning of the Astronomical Station Penteli was set. But World War II significantly delayed the development of the station. At the end of his, about a half century, active carrier in NOA, he could see the results of this task, the new 63 cm telescope in Penteli used extensively by the astronomers of the Institute. In 2003 the Institute of Astroparticle Physics "NESTOR" became the fifth institute of NOA. The Observatory as seen from the Acropolis. The central premises of the National Observatory of Athens are situated at the historic site on top of Hill of the Nymphs (in Greek: Λόφος Νυμφών) at Thiseio. Nymphon Hill borders with Philopappou Hill and is opposite to the Acropolis and the Athenian Agora. They house the central administration as well as the Institute of Geodynamics. The Penteli Astronomical Station is situated on a hill known as "Koufou" (Lofos Koufou in Greek), which is located in the municipality of Penteli, (38°02′53″N 23°51′52″E﻿ / ﻿38.047976°N 023.864437°E﻿ / 38.047976; 023.864437) at the northern suburbs of Athens. It is best known as the site of the historic 62.5 cm Newall refractor, which was installed there in 1959, and it is now used for public outreach. The Institute for Astronomy, Astrophysics, Space Applications and Remote Sensing as well as the Institute for Environmental Research and Sustainable Development as now located in these premises. The Kryoneri Astronomical Station was established in 1972. It is located in Northern Peloponnese, on the top of mountain Kilini (37°58′N 22°37′E﻿ / ﻿37.967°N 22.617°E﻿ / 37.967; 22.617) at an altitude of 930 m. It is equipped with a 1.2 m Cassegrain reflector telescope manufactured and installed in 1975 by the British company Grubb Parsons Co., Newcastle. It is one of the largest telescopes in Greece, with many successful scientific observations during its long operation (scientific observations started in 1975). Currently, the telescope is being upgraded in the framework of the ESA program NELIOTA, which will monitor the lunar surface for impacts of meteoroids. Chelmos Observatory 37°59′09″N 22°11′54″E﻿ / ﻿37.9857°N 22.1983°E﻿ / 37.9857; 22.1983, which is the site of the Aristarchos 2.3 m Telescope operated by the Institute for Astronomy, Astrophysics, Space Applications and Remote Sensing. The National Observatory of Athens handles the most antique weather station of Greece, which is located at Thissio. This page was last edited on 18 April 2019, at 20:51 (UTC).